I found an interesting framing service in the Internet. It is a free service in which we can add a customized frame to any pictures in the Internet. 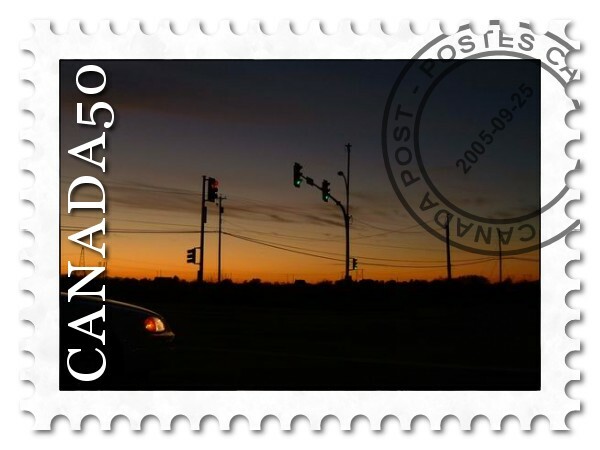 I got this Canadian stamp image from my original picture using this framing service. I feel definitely this kind of service, I mean which is offered in the Internet for free or very low price, is increasing day by day. It's super convenient because we don't have to purchase software packages, and we don't even install them in our computers. Owing to the increase of the Internet speed and the spread of new software technology, we can do almost anything we want with only one computer with no application software except web browser. I found an interesting framing service on the Internet. It is a free service in which we can add a customized frame to any pictures on the Internet. I got this Canadian stamp image from my original picture using this framing service. I feel that this kind of service, which is offered on the Internet for free or at a very low price, is increasing day by day. It's super convenient because we don't have to purchase software packages, and we don't even have to install them in our computers. Owing to the increase of the Internet speed and the spread of new software technology, we can do almost anything we want with only one computer, with no application software except a web browser.